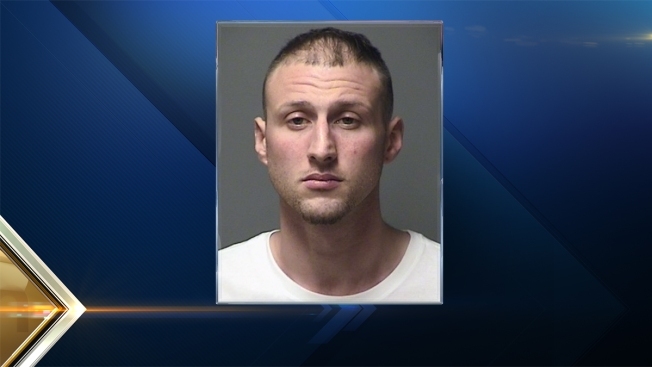 Shooting Reported Outside Red Arrow Diner in Manchester, N.H.
A New Hampshire man is facing a simple assault charge after police say he fired multiple gunshots outside a popular diner early Friday morning. Jonathan Santos, 28, of Manchester, is charged with simple assault (domestic) and was expected to be arraigned on Friday. He could face additional charges upon completion of the investigation. Manchester Police said they were called to the Red Arrow Diner at 61 Lowell St. around 2:10 a.m. for a disturbance call. As they were responding, they heard what they believed to be gunshots and saw a dark-colored vehicle fleeing the scene at a high rate of speed. When they arrived at the scene, police found a man running. The man told police he was walking in the area when he heard gunshots. He began running because he wasn't sure if he might have been the intended target. Police then located a woman who told them she was the intended target of the gunshots. She said she had spoken with Santos earlier in the evenign as he was leaving the Red Arrow Diner. They engaged in a conversation and then he placed his hands on her and pushed her against the building bfore retreating back to his vehicle. The woman claimed Santos entered his vehicle and pulled out a rifle. She ran back toward the restaurant when she heard at least two gunshots, which she believed came from his rifle. A witness also observed a man believed to be Santos standing at the top of the street holding an AK-47 style long gun. The witness claimed to have heard up to six gunshots. Numerous people were in the street at the time of the incident. Santos was eventually located inside his vehicle in the parking lot of police headquarters. He was arrested without incident. His gun was recovered from his Celest Street home around 9 a.m. Friday while police executed a search of his home.